Accessories for men have always played an important role in the Cartier catalogue. 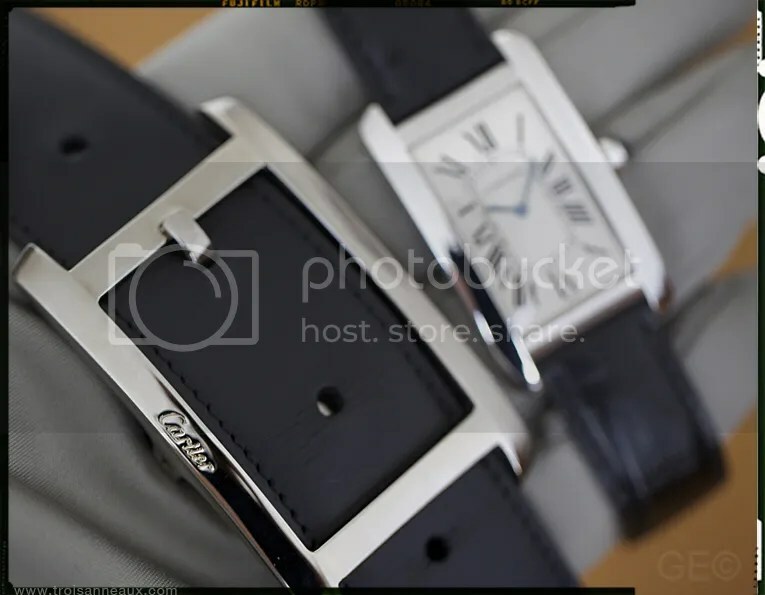 From belts to cufflinks and from lighters to pens, Cartier had it all and the most important part, quite often designed inline with the style of a certain watch. 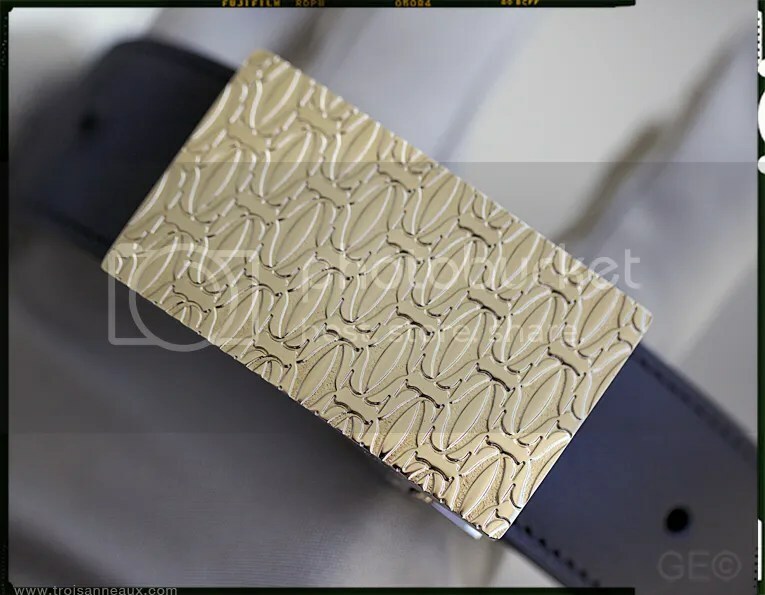 During a photo session with belts and cufflinks, I did some more shots of some other belts, to make it a more a complete overview. The Tank Americaine buckle comes in a palladium finish or a yellow gold finish. Standard is the reversible cow hide leather strap, which is black on one side and very dark brown on the other side. it the tool to lift. When pulled up, the belt can be taken out and turned around. Very easy system, that gives the possibility to switch from brown to black, in 5 seconds. 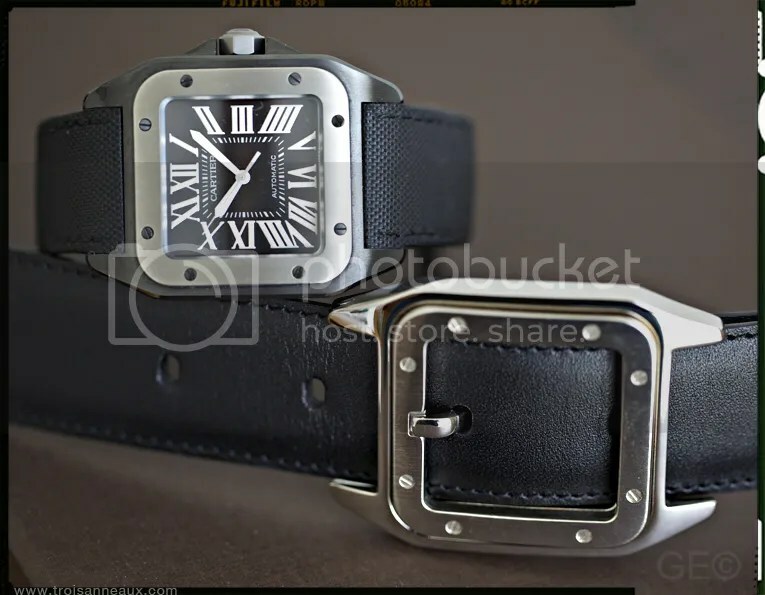 The shape of the buckle is exactly like a Tank Americaine and two match perfectly. But A Tank Cintrée or LC Tank will make a very cool combination too. of the Santos 100 or the Santos Galbée XL. 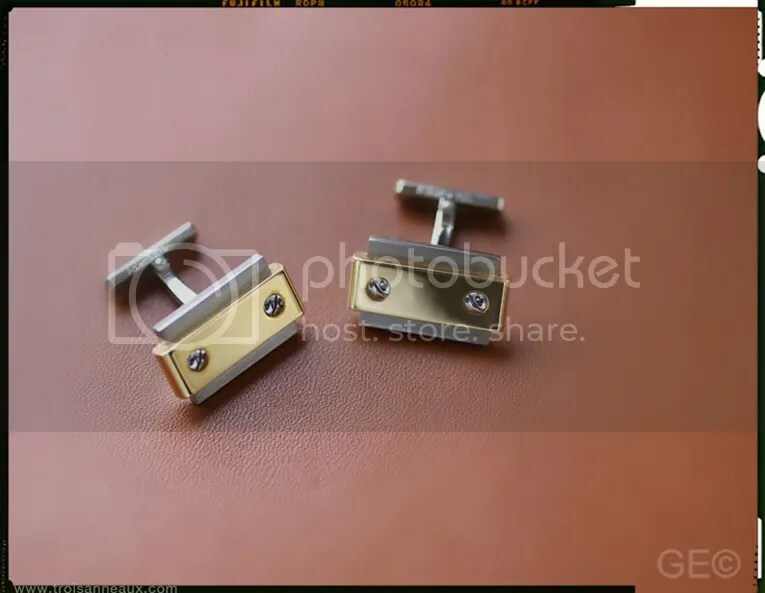 The buckle in the photograph is the ‘white’ version, but a yellow gold finish is available too. 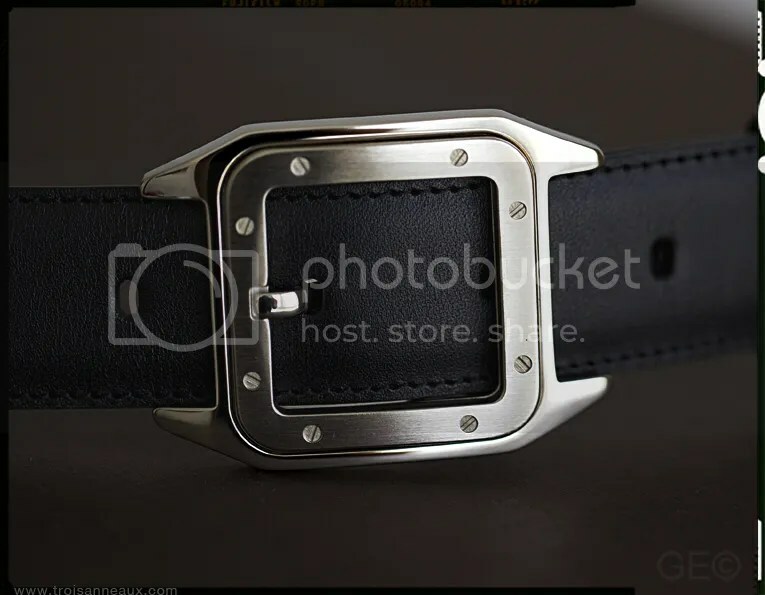 It would be cool if the buckle will also be released in ADLC/titanium, but I doubt if that will ever happen, since the black Santos 100 was retired early. Together with the Santos Galbée it’s a good combination too, bit of a size difference, but that doesn’t disturb the effect at all, if you ask me. The Tortue buckle is my favorite. Together with a Tortue watch it’s so superb and a must for every Tortue owner. The similarity is só recognizable. 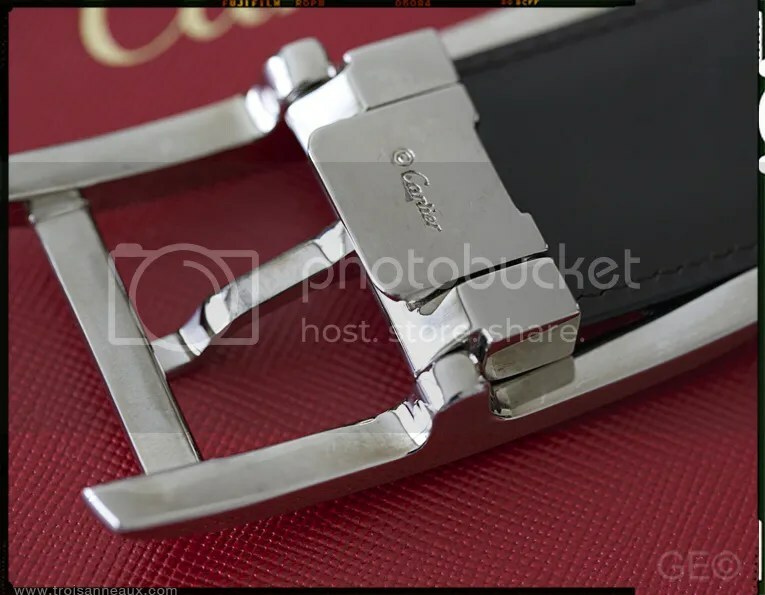 Also this buckle comes in a yellow gold finish or a palladium finish. in black or brown is an option that can be ordered. 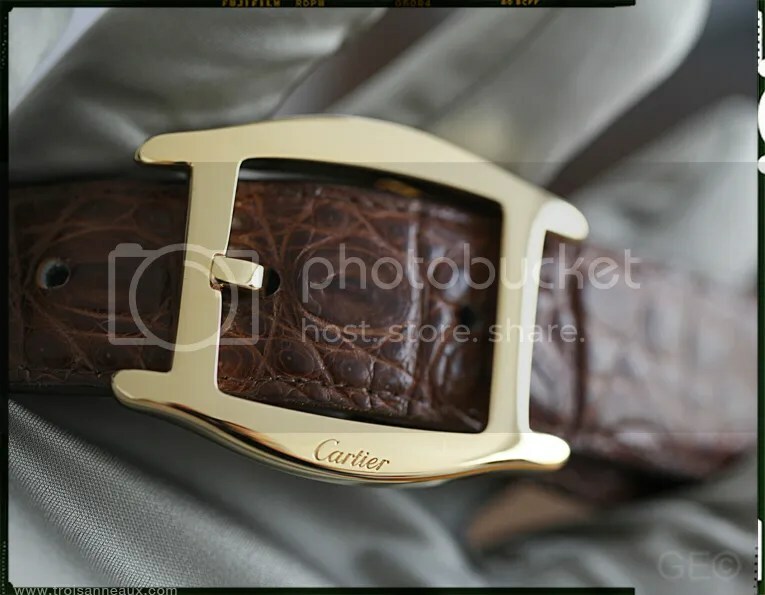 Please bear in mind that the alligator strap pictured here, is not by Cartier. 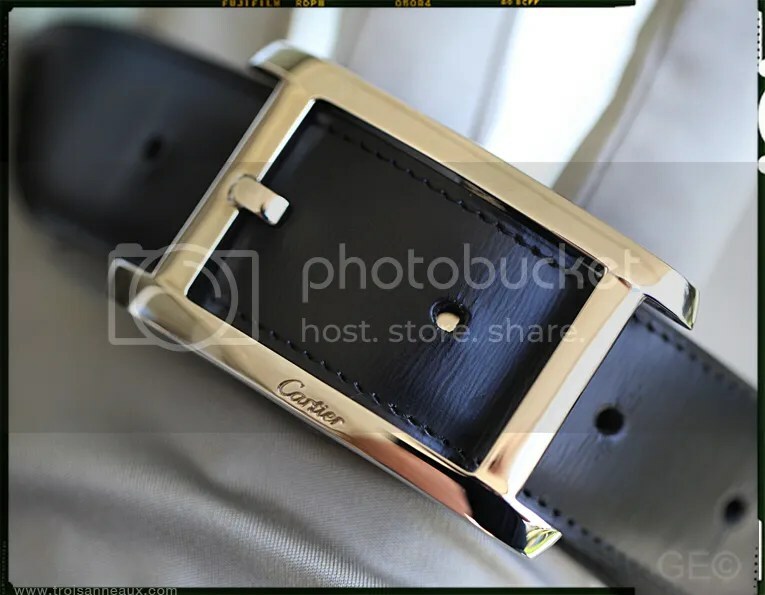 C de Cartier[/size] is a more different and defenitly more dressy buckle that many people like a lot. The one pictured here is the men’s version. But there is also a larger, more square shaped version for ladies. 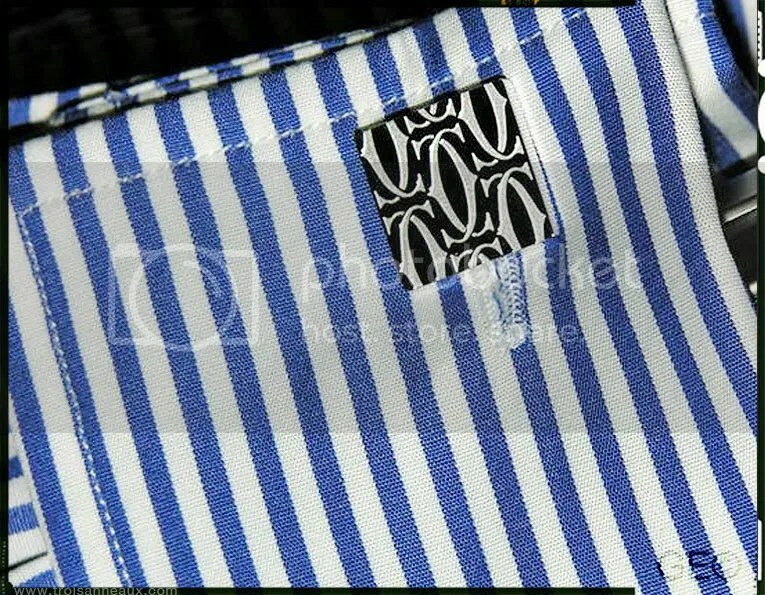 In combination with the C de Cartier cufflinks, it looks perfect. 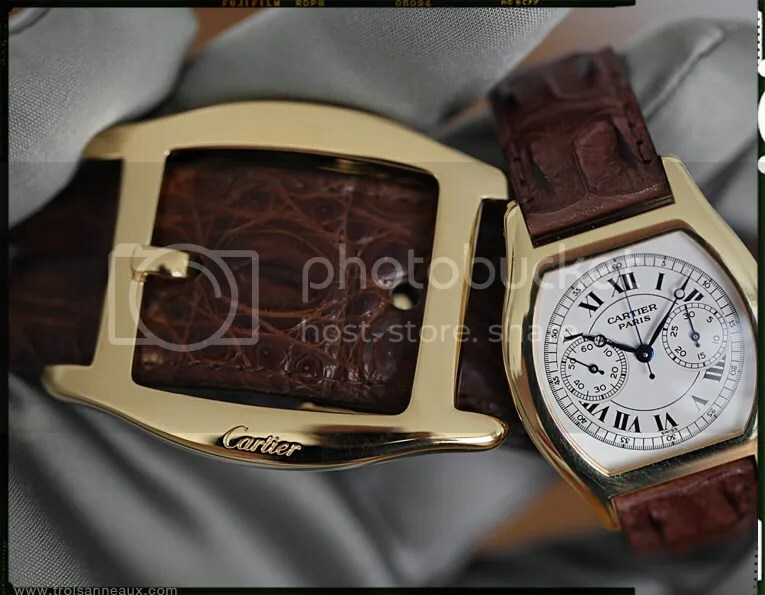 Accessories have always been an important part of Cartier’s men’s collection and let’s face it, the details make a man.